Time flies and I’ve just about got back into a riding regime. The last 3 weeks have been marked out by doing loops out of the Wirral to the Ice Cream Farm and then returning through Runcorn, Widnes and Liverpool. Each being about 80 miles. The first week was about getting lost in the Multi-Modal-Gateway and finding out what all the lads were whingeing about, broken glass on cycle paths. Also you can’t do the full length of Otterspool prom as there a culvert blocking access to part of it. The second week was about finding Pickerings pasture and the steps. Won’t be doing it again as you’d wear a set of Keo cleats out going down the steps. With some of the best weather this year it was out to the Eureka Cafe, early. It was about 18 Deg C on the ride out at 8:30 in the morning. Breakfast then slap on the factor 50, which some wag described as “Anti wrinkle cream” before heading off. 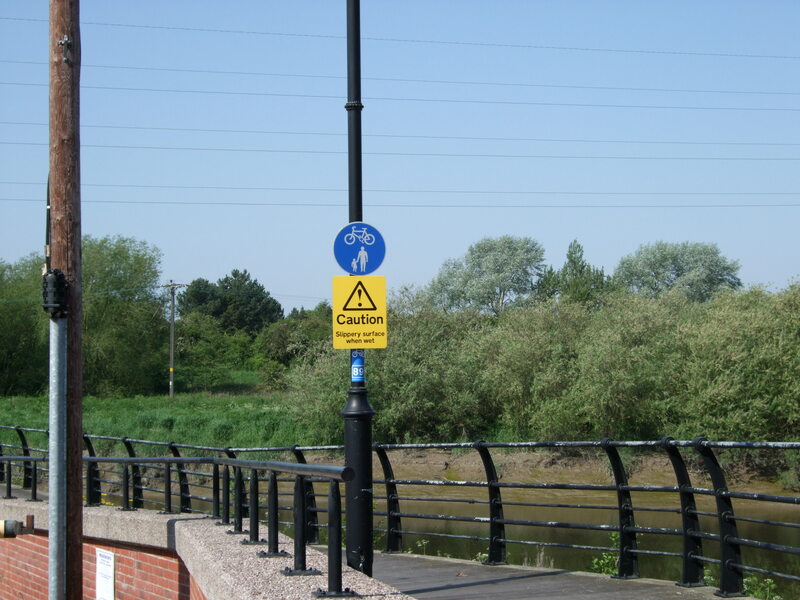 River Dee cyclepath , Chester racecourse, Saighton then the Ice Cream Farm before 11AM. 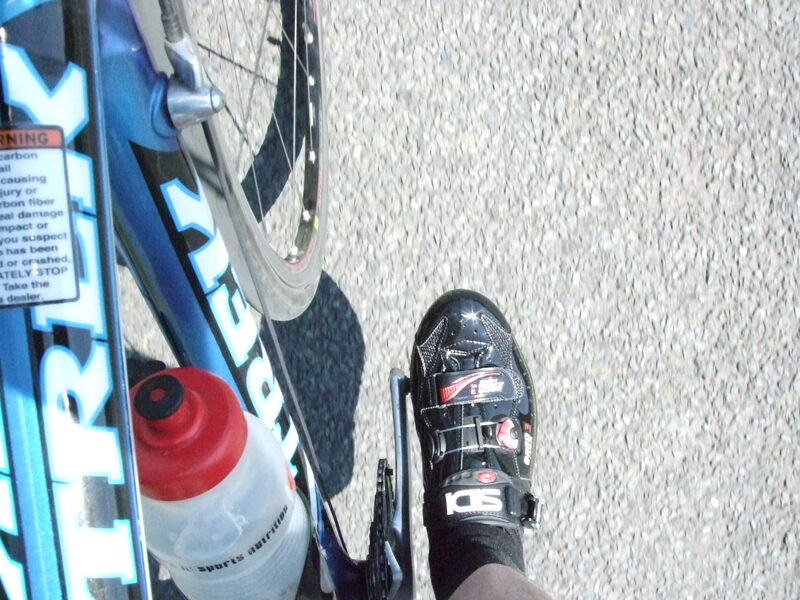 Above are the bling new Sidi Ergo 3’s. About as good as it gets as a cycling shoe, seems to get marked down a star on the eye watering recommended retail price. Mine came in at BELOW Internet prices never mind rrp. See your local bike shop, if they can price match an internet price or as near as damnit they are using the same grey distributor. A decent selection of road bikes in the ICF racks later mine was the only one as the leisure rider came out. I was parked in the Play Barn with the grandkids. I’ts air conditioned by the way. Saw what I thought was a doppleganger of Phil, only to find out it was him doing some secret training. 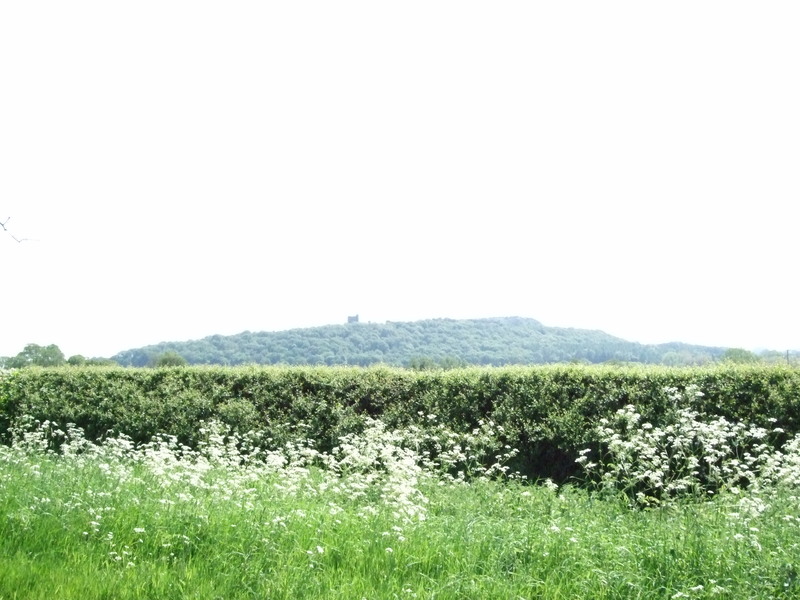 Will have to have a good look at this lookout tower by Beeston Castle one day, the hedge foreshortens the view but it’s still an amazing place to ride. 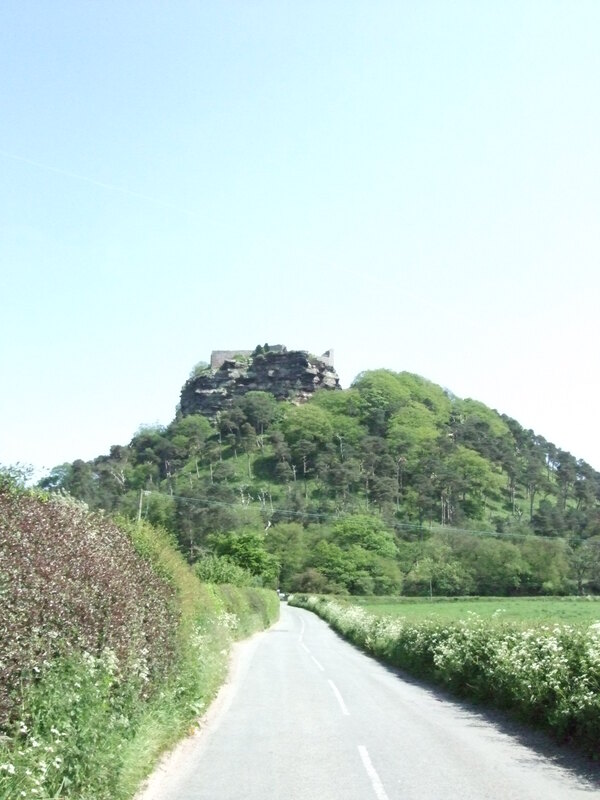 Beeston Castle, turn left at the junction and drop down to the Shady Oak pub at the next left. Cross humped back bridge over canal and wonder where the shady oak tree is. Really nice location. 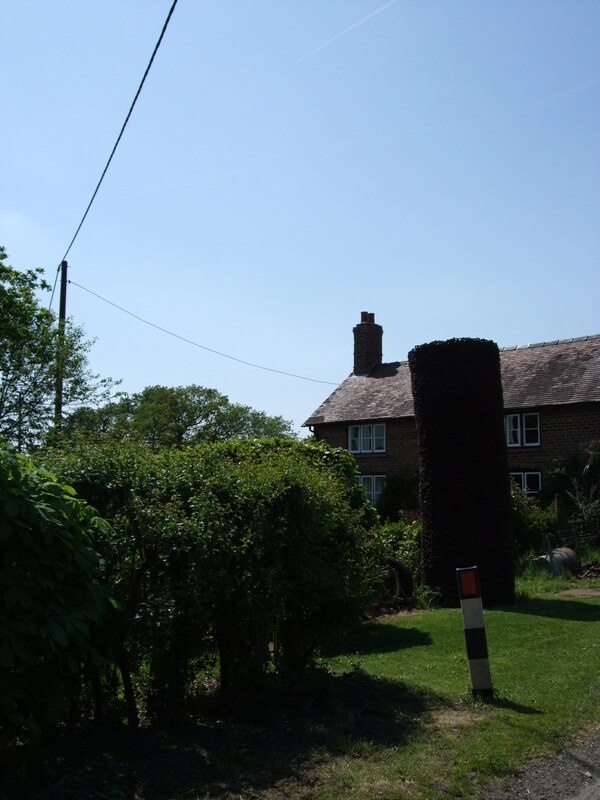 Turn left at the “T” proceed through Huxley to Hoofield and the “50p” shop and you will see this on the bend. It’s a stack of horseshoes from an old Smithy. Mixed in a few shots of “HMS Liverpool” shot a while ago. Tiny in comparison to what I thought it would be. Some of the cruise ships dwarf the buildings. 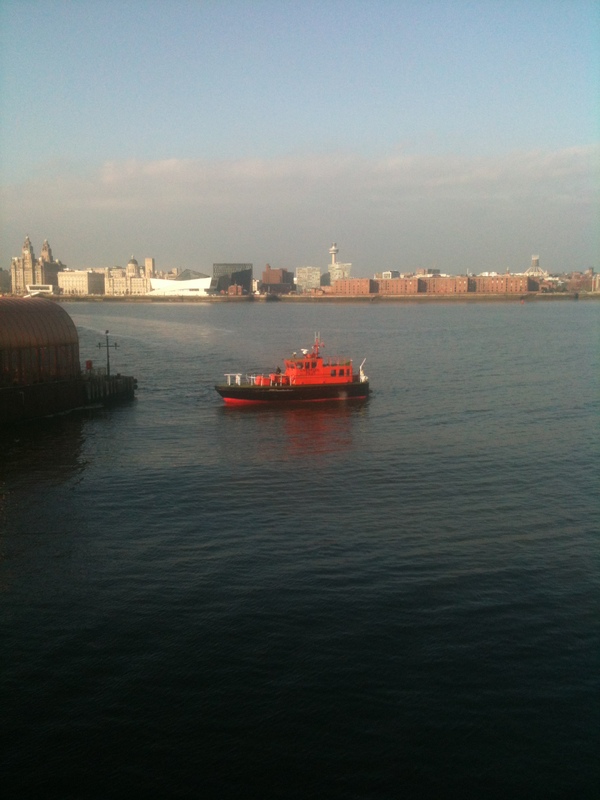 Pilot boat berthing at Woodside. Not in order by the way. 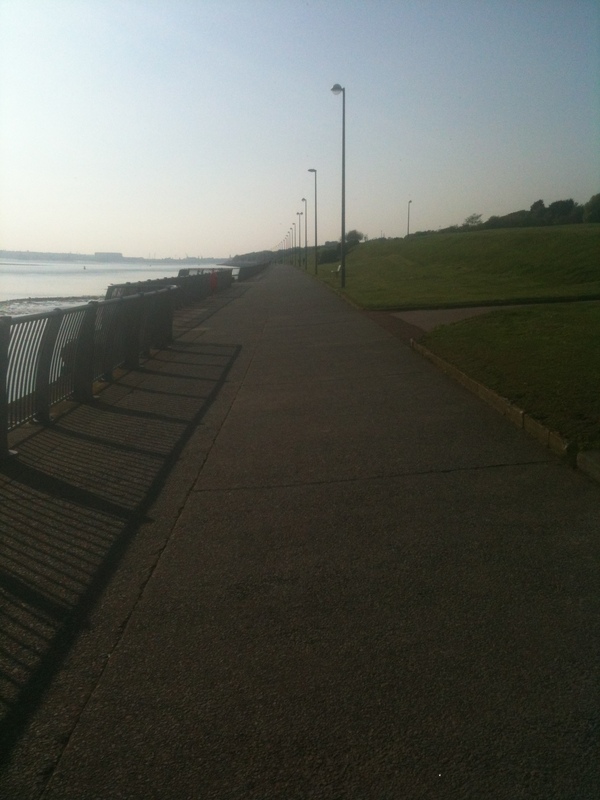 Otterspool prom, empty as it was a bit late. Can get very busy with people out for a stroll, dogs off the lead and prams. People and bikes with a plastic pint glass from the Brittania Pub are another. I kid you not. By the time you’ve read it, it’s too late. A bit belated, the scene of my last “OFF”. Ended up looking like Cav in the Giro fall. Needs more than a sign, you can see the gouge marks from pedals in the teak. 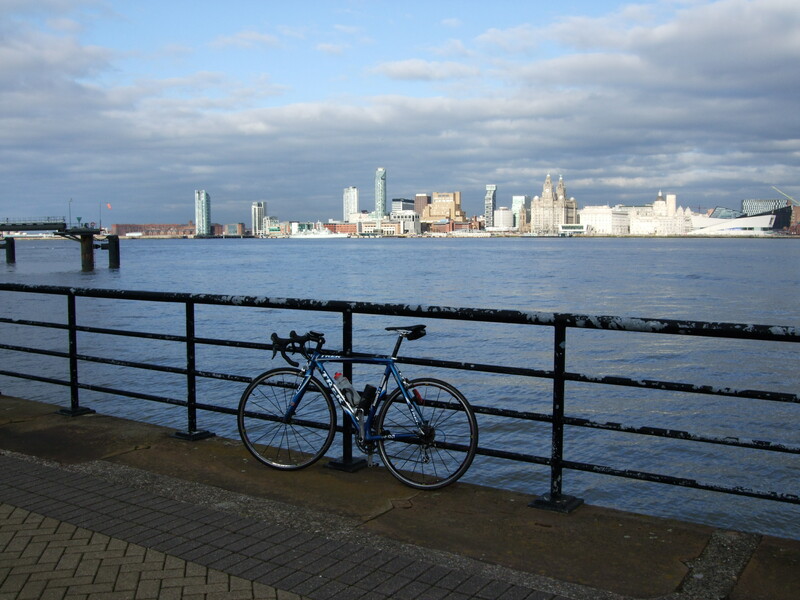 The ride turned out to be 84 miles, got a bit lost around Aigburth as riding on feel doesn’t always work out. Stoped at the Brittania Pub for a pint and a bottle refill. Here I had a conversation with a Canadian drummer on a motorcycle called “Rick”, about my age, didn’t want to believe I was up to 75 miles already. Along the front to James Street Station which was closed due to track maintenance. 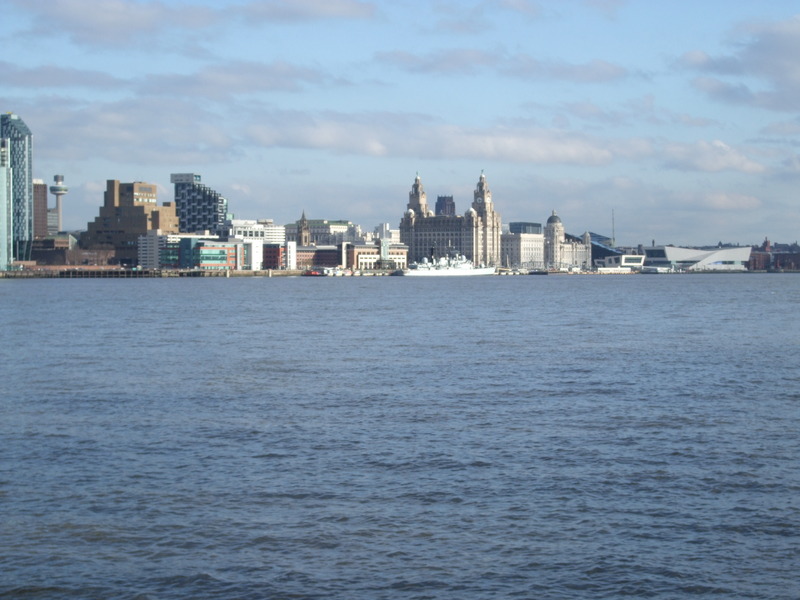 Bit of a problem now as I had missed the last “Ferry across the Mersey”. The drivers of the bus service have the option of refusing cycles, so I’m at the mercy of the bus driver. Can’t praise the staff of MerseyTravel, St James St station enough, helpful with funny scouse quips you could only get on Merseyside. Not a one off but for the last 3 weeks. Sorted me out with the right bus to get back to Birkenhead when the only other option was a taxi through the tunnel. I have just returned from my mountain bike trip from Montenegro. Many thanks for your help with the maps, they worked very good.